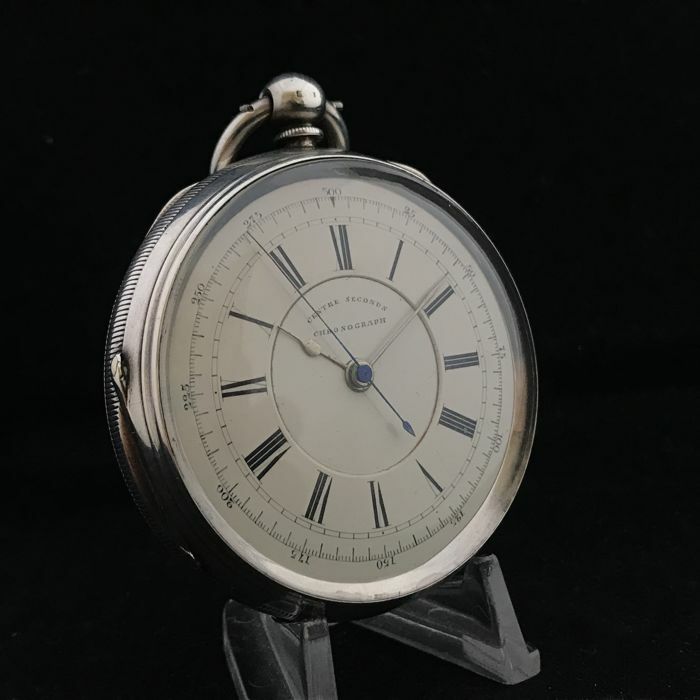 An English, substantial and solid silver fusee Doctor's chronograph men's pocket watch. 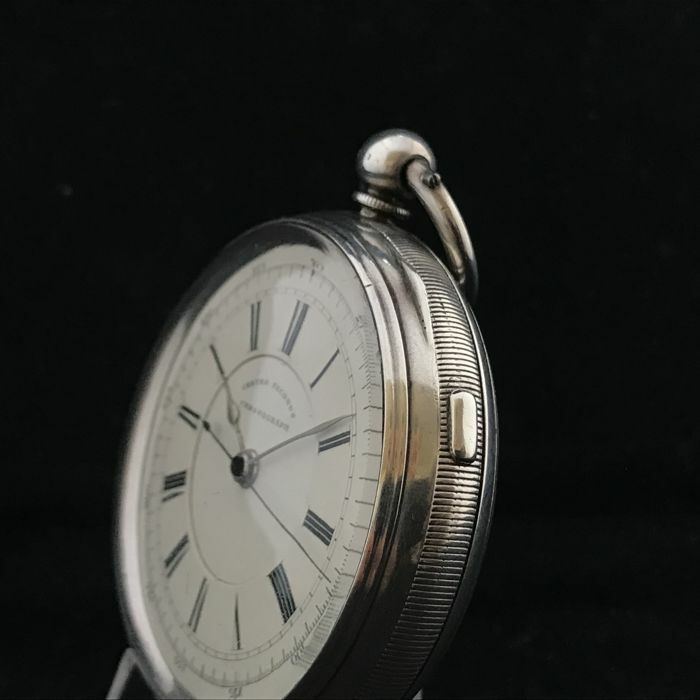 The pocket watch is in a good and original condition. 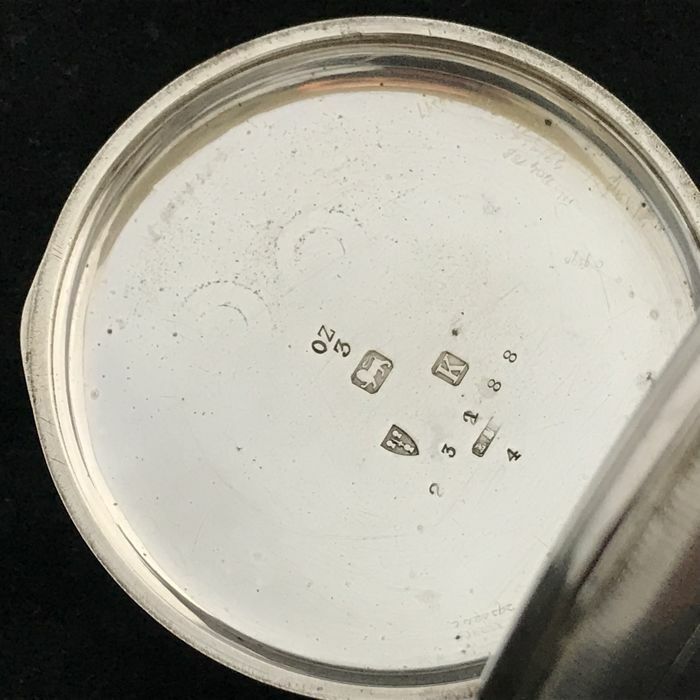 The white-enamelled dial with black Roman numerals is undamaged, aside from a hairline crack. 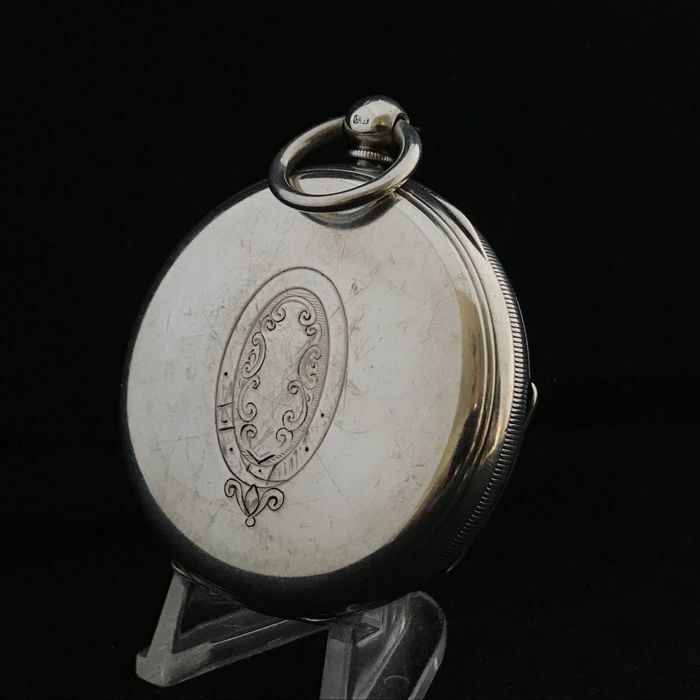 The case and case back are beautifully and classically tooled, virtually no signs of wear! 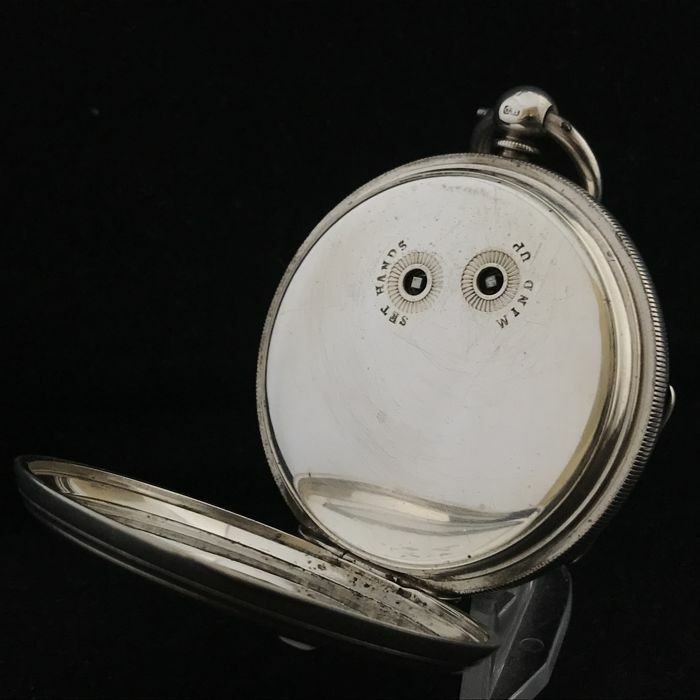 The lids and button are all marked sterling silver. The sturdy lids close well. 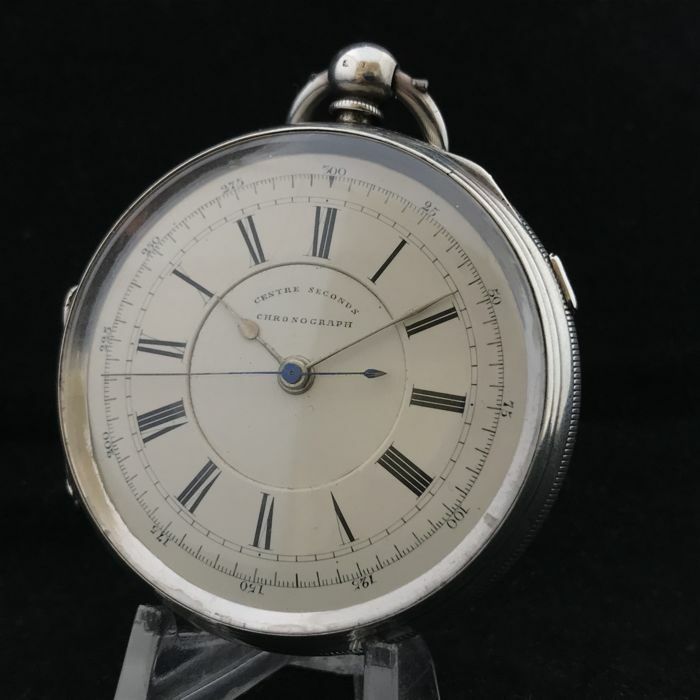 The watch originates from the city Chester and was produced in the year 1893 (date letter K). 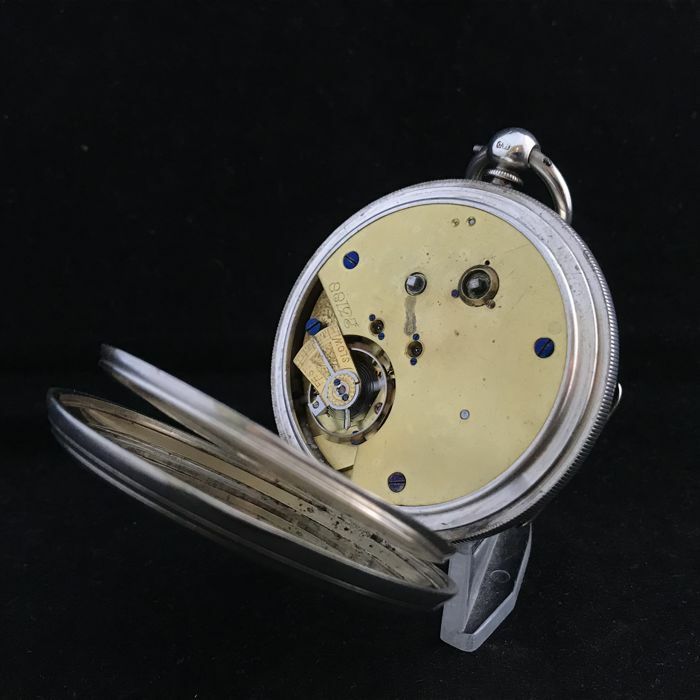 The chain-driven fusee movement runs smoothly and along the entire chain. The start/stop function works as well! 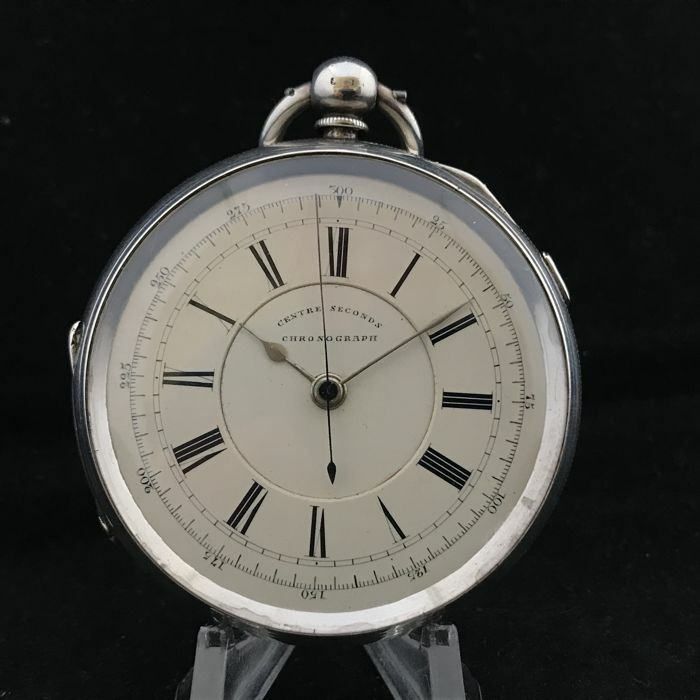 The pocket watch is large and heavy! 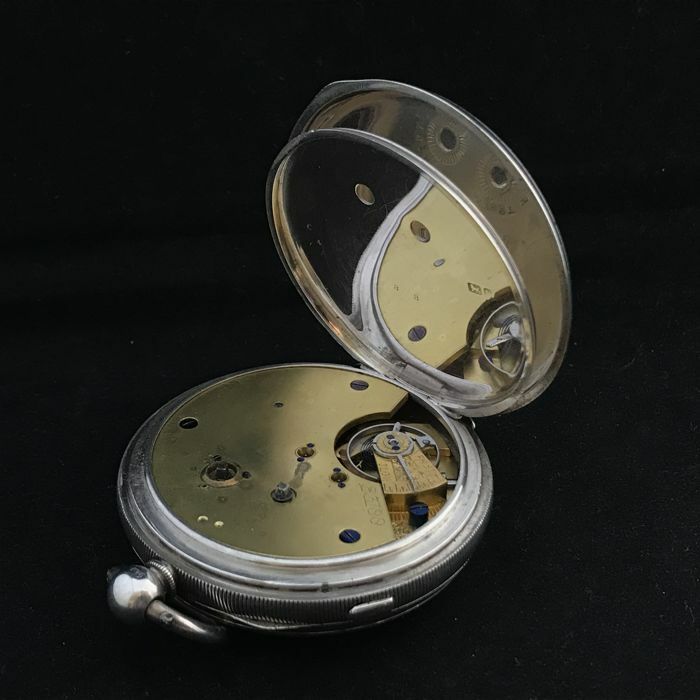 Comes with a matching pocket watch key! 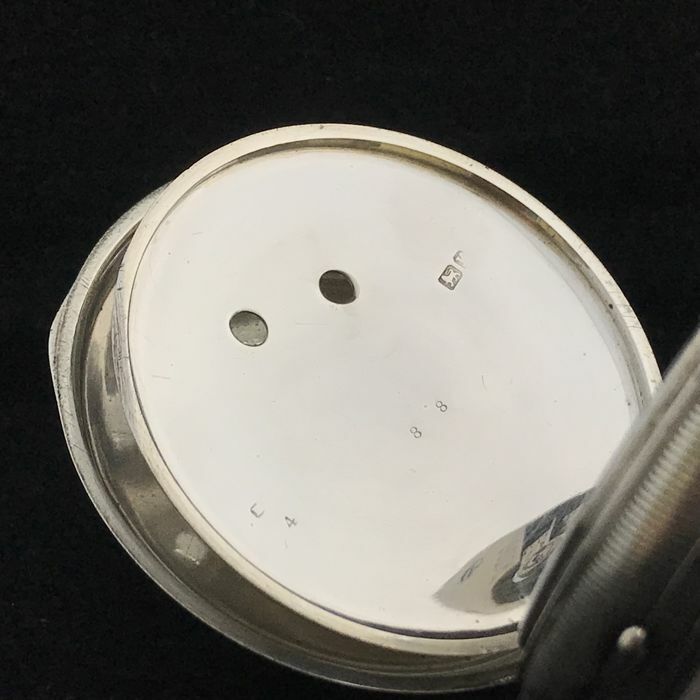 Diameter without pendant: 59 mm! Diameter with pendant: 68 mm. 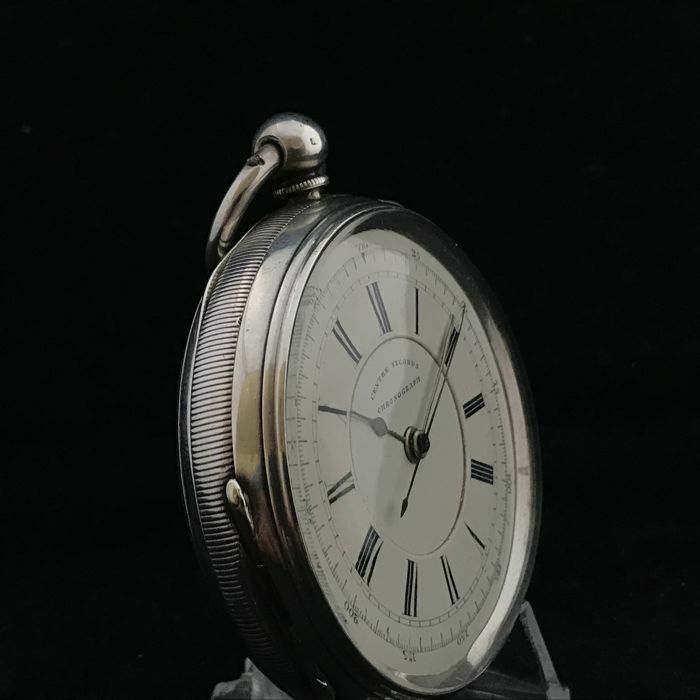 The pocket watch will be packaged very carefully in bubble wrap and a firm box.